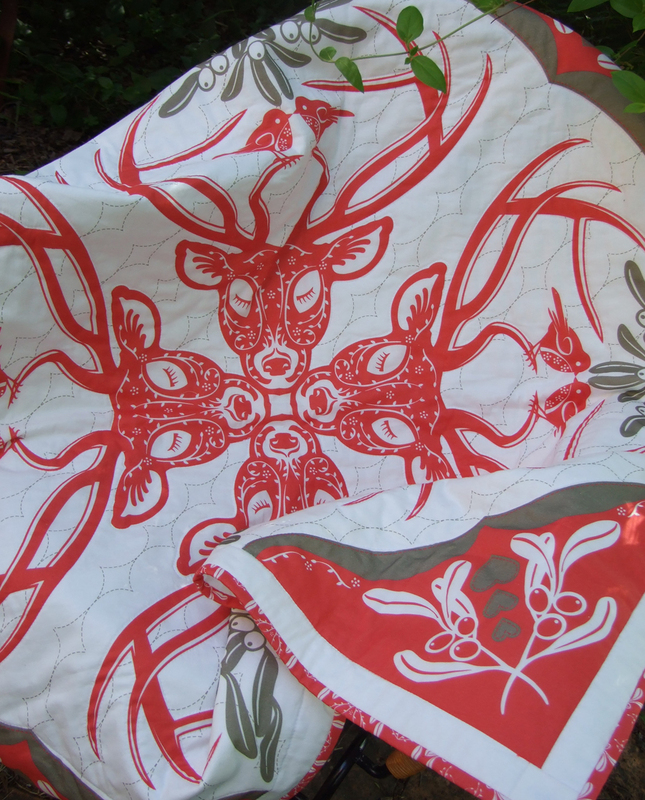 Just finished hemming the edge on the Christmas Time Hawaiian Quilt I designed and had printed last year. (In time for Christmas this year) Once again my Mum did most of the sewing, but I did enjoy hemming the binding. 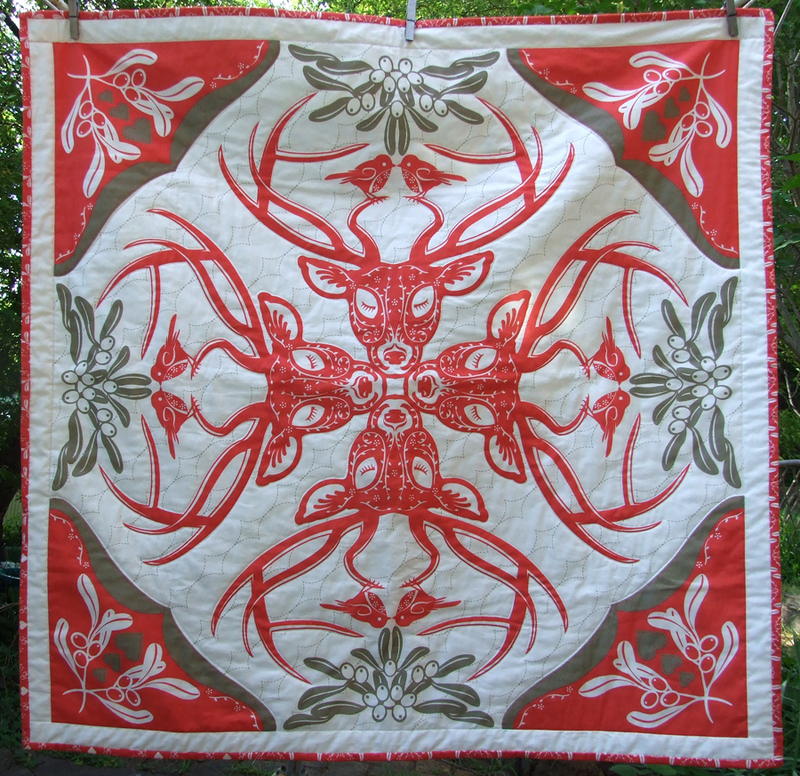 It may sound strange to have the word Hawaiian in the title but it is referring to the type of quilting technique. It is actually a cheater quilt on a one yard panel available in my Spoonflower shop. Very lovely quilt Julie! Beautiful design!